That’s just great…the only open seat is by Homer…. Old Grimey is left out again. Grimey: now I know I’m dead. This is hell! 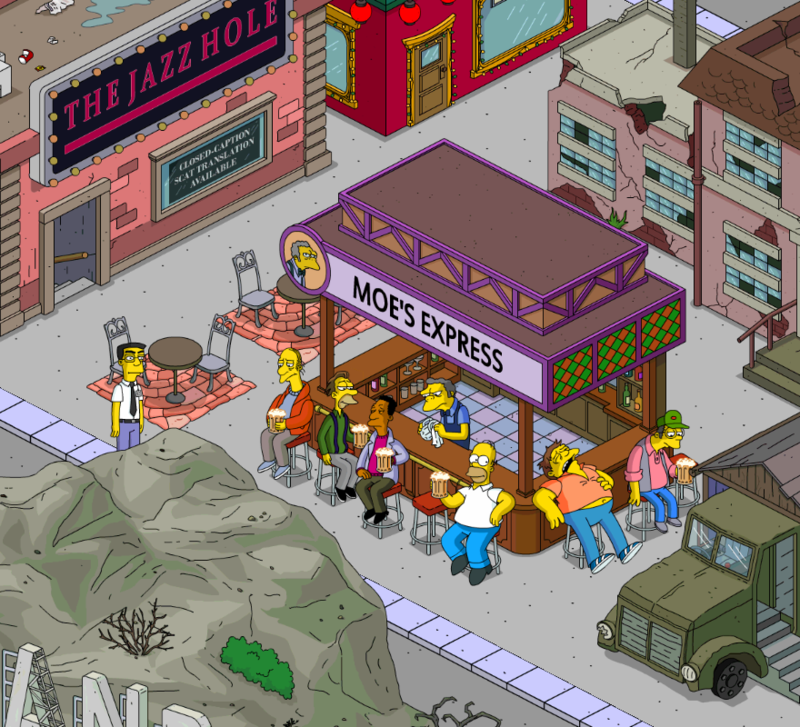 Grimey : I’m going to THE JAZZ HOLE would anyone like to go with me ? Barflies : Ha ! Ha ! They don’t have Flaming Moe’s . I’ll be at the House Of Evil over there, thinking of a gift for all of you. Enjoy..
H-hey uh guys? Can I sit here? Why is no one looking at me?